Jeff D BEISH, ALPO Mars Section and Computing Section, visited Japan and kindly gave an interesting talk to the CMO Members on 24 March at Yokohama. 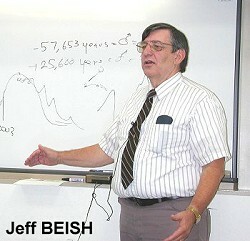 His lecture was concerned with a computational result (by JDB and Jim DeYOUNG) on the closest approaches during a period of 200,000 years centred on JD 2452200.5 (JDB's birthday on 17 October 2001). The story amazingly shows not only the fact that the 2003 opposition (the apparent diameter being 25.11 seconds of arc at maximum) is the first closest approach ever since the beginning of the AD (as proved by J MEEUS), but also that the preceding similar closest apparition occurred in the year -57,537 ! 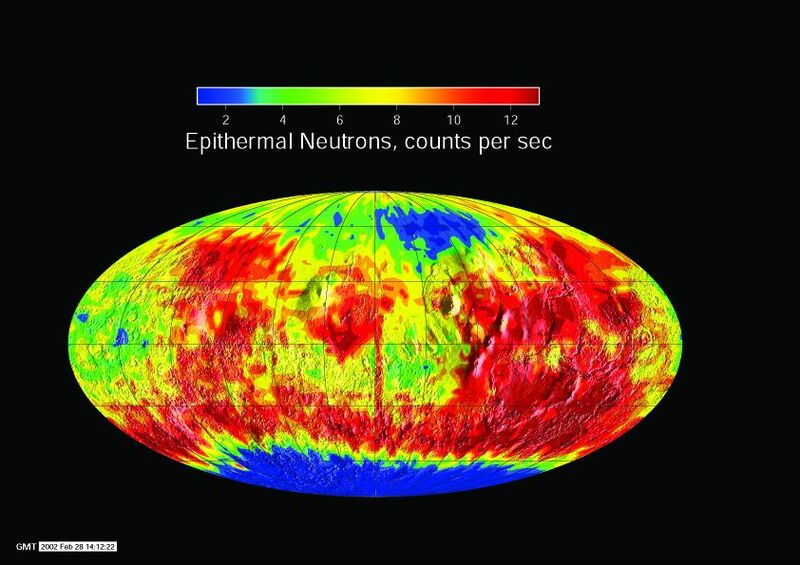 (with an apparent diameter 25.14 seconds of arc). His talk also revealed that in the year -79,241 the apparent diameter of the planet was 26.16 seconds of arc!, and in the future we will have another occasion in the year 25,695 where the apparent diameter grows up to 26.04 seconds of arc! The results are not yet published, and so we were the first to hear. . . . More details have been uploaded . . . . . The CMO Editors interviewed Sanenobu FUKUI, now 86 of age living in Yokohama, and listened to his talk about his finding of a Sun-glint flare seen near Solis Lacus on 10 November 1958. Details of the interview has been posted. 2) Tom DOBBINS (11 May) suggested us to refer to the S&T Site on Odyssey's result. The 10th CMO Planetary Observers Meeting was held at Ina City, Nagano Prefecture, from the night of 2 August to the morning of 5 August 2002. 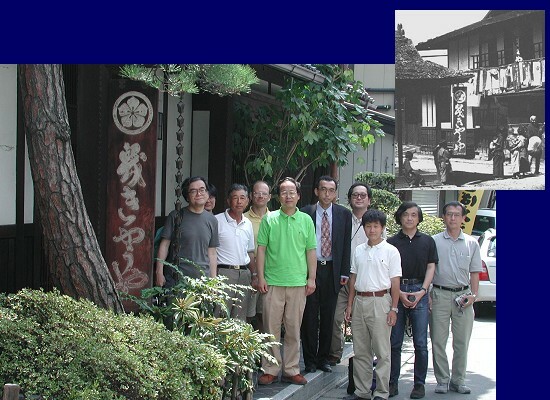 This was organised by Toshiaki HIKI and attended by T AKUTSU, H ISHADOH, T IWASAKI, M MINAMI, Y MORITA, M MURAKAMI, H NARITA, A NISHITA, F OGER and T OSHIRO. The 2001 dusty Mars phenomenon and the forthcoming 2003 Mars apparition were mainly talked about. Otherwise several spots and roads near at Ina were searched where Percival LOWELL visited in the Meiji Era: LOWELL went down the Ina Valley along the Tenryu River in 1889 when he was on the way back from his trip to the Noto Peninsula. The old photography here is a part trimmed from a plate said to have been found at the Lowell Observatory: We pinned down this time it showed an inn called Kikyo-ya at Shimo-no-Suwa, and the other photo was taken in front of the present Kikyo-ya on 4 August.